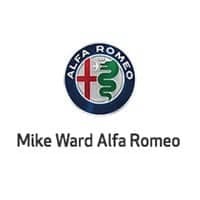 Mike Ward Alfa Romeo of South Denver is located in Highlands Ranch, Colorado and caters to the needs of our customers in the entire Denver, CO market . We know that you have high expectations and we enjoy the challenge of meeting and exceeding those standards each and every time. Allow us to demonstrate our commitment to excellence! Our Alfa Romeo dealership is second-to-none in Denver, Colorado. We sell or lease all new and pre-owned Alfa Romeo models. Come test drive a new Alfa Romeo 4C, Alfa Romeo Giulia, or Alfa Romeo Stelvio today! We stock Denver’s best selection of new 2018 Alfa Romeo cars and SUVs for sale or for lease. Our experienced and factory-certified staff is eager to share its knowledge and enthusiasm with you. We encourage you to learn more about our dealership, schedule a test drive and investigate financing options. You can also request more information about a vehicle using our online form or by calling .